I hope you had a joyous holiday season and wish you the very best in the New Year. On December 13, we held our 21st Commencement Ceremony. As always it was a moving experience to see the excitement and pride shared by our students and their loved ones as they culminated their four-year journey of hard work and transformation. While our students will undoubtedly face many challenges as they return to their countries, we know that they are firmly rooted on the path to being leaders of change. During graduation week, we also welcomed to campus several members of our first graduating class for their 20th class reunion, as well as classes ’98, ’03 and ’08. At EARTH, the members of the Class of ’93 are appropriately referred to as pioneers. In 1990, they came to an Institution under construction and with a bold educational model that was yet untested. We learned with them, overcame hardships together, and we fearlessly set a course for what EARTH has become today. Now as we enter our 24th year, we do so knowing that our University is approaching another turning point. 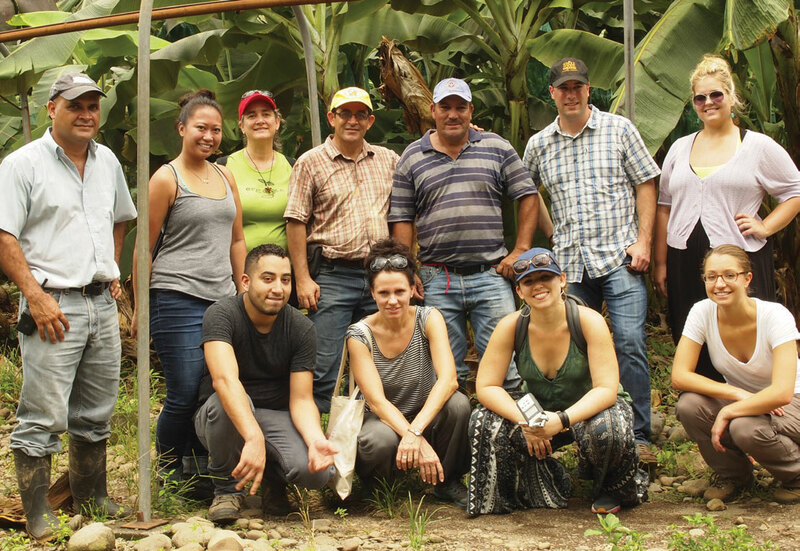 From our increased ability to recruit deserving young men and women from more countries around the globe, to the addition of Master’s programs, to the development of our La Flor campus, EARTH is changing. We have embarked on a curriculum revision to improve our model, we are digging deeper to better quantify the impact of our alumni, and we are hiring a bright new generation of faculty to lead EARTH into the future. Comparisons can certainly be drawn between EARTH in 1989 (the year before our first class of students) and EARTH today (the year before our 25th Anniversary). With that in mind, I invoke the pioneering spirit that so powerfully steered us at our inception to guide us now into the new frontier. Thank you for your pioneering support and friendship and for being an integral part of this new chapter in EARTH’s future. As any parent would tell you, the sight of a child dressed in a cap and gown, ready to graduate from college is a proud and emotional moment. For Marlene Contreras, mother of José Reynaldo Reyes Contreras (’13, Colombia), it was nothing short of a miracle. 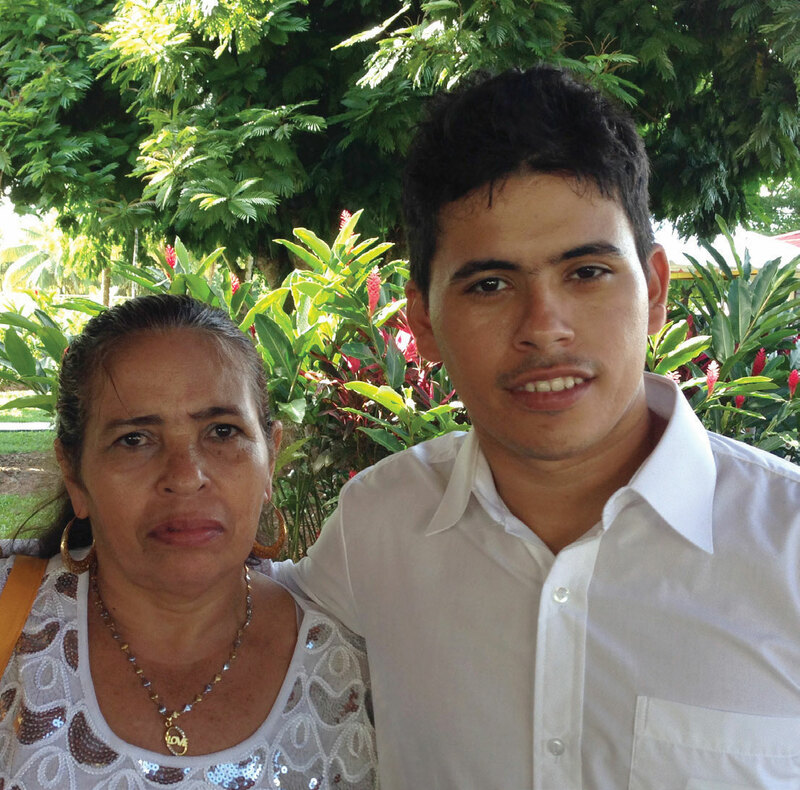 For Marlene, the difficulties and hard work that she and her family faced in the past were worth it when she watched Reynaldo walk across the stage, diploma in hand. 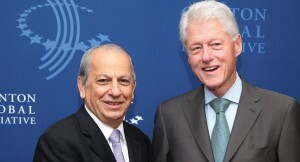 On September 25, 2013, during the Clinton Global Initiative (CGI) Annual Meeting, EARTH University President José Zaglul announced the design of a multi-university Master’s program that will integrate health and sustainable development in response to global gaps and needs. 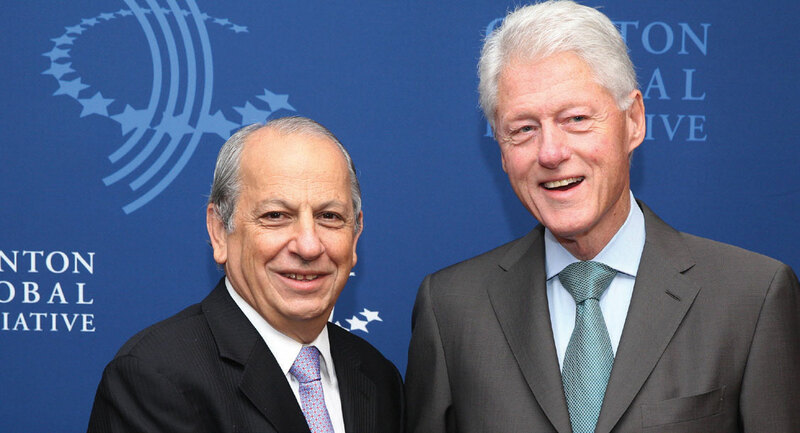 The MasterCard Foundation is supporting the feasibility study and program design, led by EARTH and the American University of Beirut (AUB) in Lebanon. The planning phase is expected to be complete by early 2015. On November 27, the EARTH University Carbon Neutral Unit received official notification from the Costa Rican Accreditation Entity (ECA) granting the Unit the accreditation to verify emission inventories of greenhouse gases and the carbon neutrality of companies and projects. After several months of rigorous review of the Unit’s methodology, this accreditation is a major achievement for EARTH University as it contributes to our mission of promoting sustainable development. Now EARTH is nationally and internationally certified to provide advice and services in carbon neutrality to businesses in the industrial and agricultural sectors, among others. On October 25, board member Franklin Chang-Diaz and his wife, Peggy, hosted a reception at their home in Liberia, Costa Rica in honor of EARTH’s impact in the region. More than 100 business and government leaders, community members, members of EARTH’s boards, study body and staff attended the event. Sandra Zamora, a community member who has hosted EARTH students in her home for several years, gave a moving account of how the students have had a positive impact on her and her house hold. Also delivering remarks was business owner José Zúñiga of Natural Aloe who has seen his operation improve markedly with the help of EARTH interns. On December 13, 103 young men and women from 18 countries graduated from EARTH University in an outdoor ceremony on EARTH’s Guácimo campus. With the addition of the 2013 graduating class, there are now 1,829 alumni working to promote economic, social and environmental well-being in their countries. During the ceremony, Karina Poveda Coto (‘13, Costa Rica) was awarded the EARTH Prize in recognition of her academic achievements, strong values, and social and environmental commitment during her four years at EARTH. Keynote speaker Dr. Rodrigo Gámez, president of the National Biodiversity Institute in Costa Rica, also imparted a moving speech to students and was awarded an Honorary Doctorate from EARTH. More than 1,000 people attended the graduation ceremony, including the families of graduating students, donors, diplomats, government officials, friends of EARTH, current students and staff. From September 29-October 1, 2013, EARTH University hosted the winners of the Whole Foods “Win a Trip to EARTH” contest, along with media guests from Heritage Radio Network and Latina magazine. The group received an introduction to EARTH from President José Zaglul, toured sustainable farms on campus, met with EARTH students and visited a nearby community during their stay. OUR FUTURE DEPENDS ON YOU. MAKE A GIFT. SEE IT GROW. Your tax-deductible contribution through EARTH University Foundation, a 501(c)(3) public charity, will help provide opportunities to young leaders who want to make a difference in the world but lack the resources to pursue a higher education. Copyright © 2014 EARTH University, All rights reserved. The natural wealth of the Turrialba region of Costa Rica contrasts sharply with its high unemployment and poverty rates. 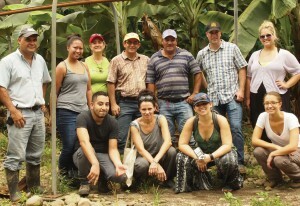 It is in this land of contrast that EARTH alumna, María José Figueres (‘09, Costa Rica), is leading an ambitious project to help create opportunities for small producers and business owners. As María José looks to promote the social and economic development of her community, she knows firsthand the difficulties that local producers face. Her family produces high quality Turrialba cheese and had to take their product off the market due to high production costs. This inspired her to develop the Turri Food Fair in 2013, which gave more than 100 local producers a chance to promote their sustainable products and projects. “Facilitating this experience allowed me to look for solutions for small business owners. 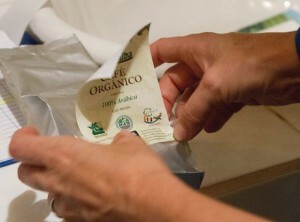 There are local products and services that aren’t marketed in Costa Rica or even in Turrialba, and that reduces the sustainable options available to consumers,” she explains. The experience also inspired her to develop her project “Sello Turrialba,” a social enterprise that unites young professionals and organizations with local microbusinesses to help them compete successfully in national and international markets. “We promote fair trade and differentiated products and services that are sustainably produced and have a positive social impact,” remarks María José, who in addition to leading this project also serves as the coordinator of the municipality’s tax department. Her company began by bringing to market Naturalaba, an organic coffee from the Association of Organic Producers (APOYA) in Turrialba. “Every time I hear that our projects are big and ambitious, I remember that at one time there was a small group of people who dreamed about creating EARTH, which today is a reality, and that motivates my dream,” she concludes. 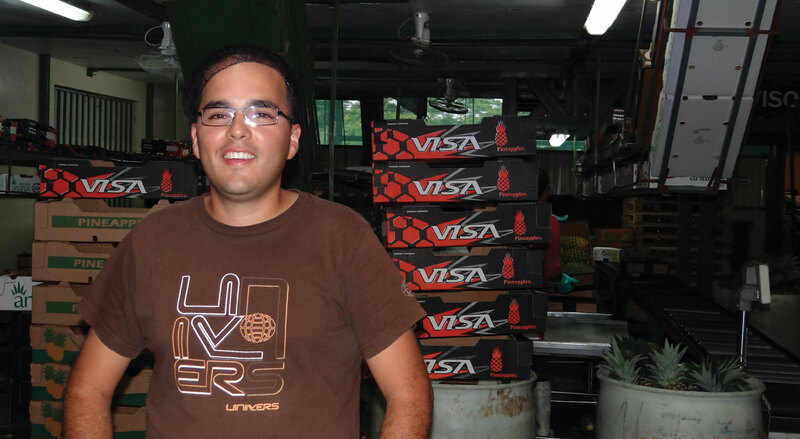 I graduated as an agronomist in 2008, and since then I have worked as the head of sales in my family’s business Productos Agropecuarias Visa S.A., which grows and sells tubers and tropical fruit. I am so grateful that I had the opportunity to study at EARTH, which was made possible thanks to the effort of my parents, donors, professors and staff who work to maintain the university. Learning from our mistakes is good, but learning from our successes is even better. In life, I have noticed that the truly successful people are grateful, and that this attitude of appreciation leads them to greet life in a positive way while getting great results in what they do. At EARTH University I received an excellent education that, when combined with the teachings at home, has given me a broader perspective when facing challenges and helped me to see alternative solutions. This is reflected in our company’s work. We have made improvements and innovations to protect the environment, and we have implemented an international marketing strategy to promote our products. EARTH has already given me so much, and now it deserves to be nurtured so that it can continue to give to many more young people. It is this hope that other young men and women can have the same opportunity I did that has motivated me to donate to the University in recent years. EARTH was given to us by the donors and visionaries that founded the university, and now as graduates we must sustain our beloved alma mater.